Is the read offset (or the write) offset drive model dependent, or is it possible that the same drive has a different offset in a different system? The offsets should be the same for all drives of that specific model. Though, it is possible (but not probable) that the offset varies with different firmwares. What is the difference between read offset, write offset and the combined read/write offset? What is an read or write offset? When do they occur? During extraction or writing of the audio data, nearly all CD-ROM/CD-R drives will add an offset to the position. This is usually around 500-700 audio samples (ca. 1/75 second) on reading and around 0-18 samples on writing (ca. 1/1000 second). So if a program queries a specific sector, it will not receive exactly that sector, but shifted with the number of samples of the offset. How do you find your CD-ROM’s read offset? There is a test routine included in EAC that will determine the offset for a drive using a library of predefined commercial CDs. It is important that you use exactly the same pressing as the creator, otherwise another offset could be occured on remastering. So you should at least receive twice the same offset on two individual CDs. If you have a Plextor 40X CD-ROM drive (or know somebody who owns one), you could even help to extend that database of included offset CDs to help others to determine the offsets. If this does not bring a good result, the last option is to ask the other persons in the mailing list if anybody already determined the offset for the specific CD-ROM drive model. How do I determine the combined read/write offset? The combined read/write offset is only valid for the special combination of exactly one reading drive and exactly one writing drive. If you use another reading, you would most probably need a different combined offset. To determine this offset, you would need to write a CD-R/CD-RW. 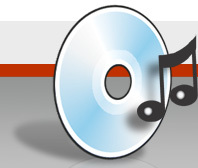 At first prepare WAV files you want to write to the CD. Then write it to a CD (either with any burning program, or with EAC using write offset 0). Do not delete the written WAV files. Afterwards you have to extract one or more tracks from the freshly burned CD, using the specific reader and using read offset 0. Of course you should not overwrite the original WAV files. Now you have to use the WAV Compare feature in EAC to compare the first WAV (original) with the second (reextracted one). Usually EAC will report either missing samples or extreneous samples. The number that is reported by that will be your combined offset, only be changed to positive or negative. If your original file has extreneous (repeated) samples or the copied file has missing samples the offset should be positive, otherwise it should be negative. (I hope this is correct) To double check the found offset, use that offset as sample offset for reading. Now The reextracted file and the original should be the same without missing or extreneous samples. How do I determine the CD-Rs write offset? I try to determine the offset for my CD reader using a CD from the list given on EACs homepage, but it tells “CD not found in offset database”. Why? It has to be the same pressing like I used, as different pressings usually uses a different offset. This specific error occurs, when the track layout is different than the correct CD, e.g. one track is slightly longer (1 sector would be enough). I used several CDs to determine the sample offset for my CD reader, but the results of the offsets are not consistant (all the same). What now? Probably you use different pressings of some (or all of) the CDs you tested. If you get at least twice exactly the same offset, you could be pretty sure to have found the correct one (and only then! ).